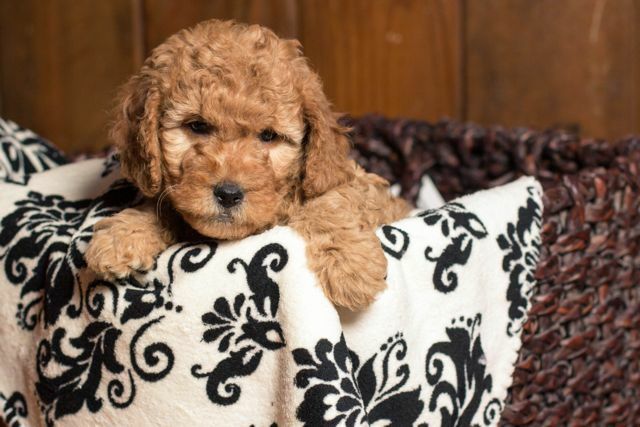 Genetics determine everything when we’re looking at the purebred dog, but if we’re talking about Doodles, you’ve likely noticed some confusing genetic markers. Have you heard someone say I have a F1 Doodle and wondered what the heck that was? Have you wondered why some Doodles have more open coats that are flatter and longer; whereas, other Doodles have very curly looking coat? This is all genetics at play, and since Doodles aren’t a purebred dog and are in a continual state of development, you’re going to hear a lot more references to F1, F1b, F2, F2b, F3 and Multi-Gen.
You’re likely to hear varied information on what is a F2, F3, Multi-gen, etc. What are these? When we say F1b, that denotes that there was a backcross to a “parent” breed, hence the b. So, an F2 means that 2 first generation Doodles were bred together. 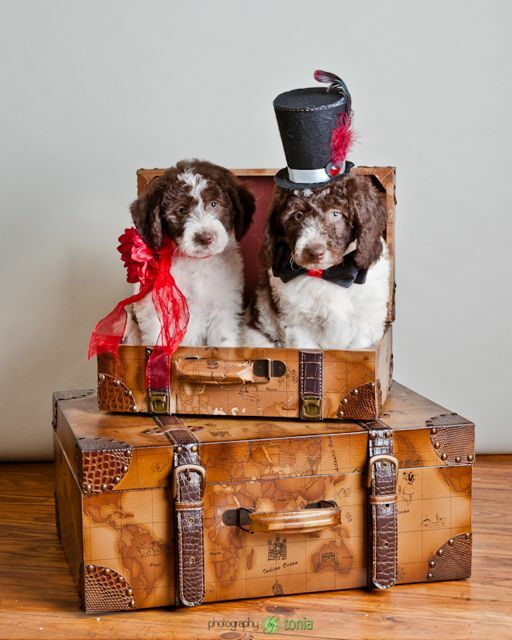 F2 could also technically refer to a litter produced from a F1 dog bred to a F1b dog (although many refer to this as F2b to denote a higher percentage of poodle in the mix). 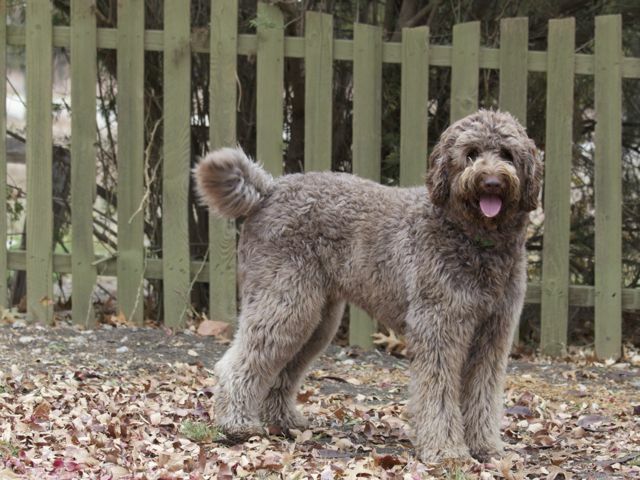 Most Doodle breeders consider a F3 as a breeding between F1b to F1b or F2 to F2 or any combination of higher generation Doodles. To save on too many confusing letters and numbers, anything F3 and above is often referred to as Multi-gen to denote that there are multiple generations of Doodles involved. It is interesting to learn more about how breeds mix together and how traits are captured. Much research has been done in the past mixing domesticated dogs with wild dogs. In the 1950s, a shaggy terrier mix was bred with a captive coyote. What researchers discovered was that there was variation in the first generation mating but even more in the second. Of the 6 puppies reared, 5 resembled shorter legged coyotes, and the 6th had shaggier hair but similar coloration. The second generation or F2 presented more variety with some being much more dog like and others ranging much closer to coyote. The behavior was a mix with all howling like a coyote and intermediate levels of behavior and aggression. What difference does all this mean to anyone that wants a Doodle? Each level has distinct differences that will be present based on the approximate percentage of poodle vs. retriever. How the genes are inherited is really the determining factor. The reason why we know what a Yorkshire terrier, German Shepherd Dog, or any other purebred dog looks like is because of a relatively small genetic pool in any given breed. When one Yorkie is bred to another Yorkie, there will be variations, but the end result will still resemble a Yorkie with similar size, coat, and personality. Since the Doodle has only been around a few decades, there hasn’t been as much time (and as many generations) to create a set type. Also, the benefit of a lower generation cross of a Retriever bred to a Poodle is so wonderful that many breeders will continue this pairing and do not want to create a ‘breed’ with multiple generations. The genetic pool is much larger drawing in from unrelated poodles and unrelated retrievers. Just like with the mixing of dog to coyote, the first generation Doodle will have more variation with coloration, coat type, etc, but a higher level of variation will occur with a F2 (an F1 and F1 parent). Some puppies will be more similar to retrievers and others will be more Poodle like. There is a lack of consistency in the F2 breeding, and for those people wishing to know what their puppy will turn out to be like, the most consistency comes from an F1, F1b or higher generations where a more set type has been allowed to form.